Webcam at Andy’s Barber Shop in Bicester, Oxfordshire, United Kingdom. Live feeds from Brooks Barbers in Cambridge. Men's hair and skin care in St. Ives. Barbershop webcam in Kutztown, Pennsylvania, USA. Watch the activity in Courtney Brothers Barber & Shaving Parlor in Blue Springs, Missouri, USA. Modern salon in Frankfurt, Germany. Two webcams with very clear images. 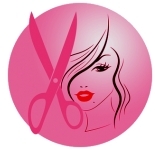 Hair care services for men and women. Webcam at Everyman Barbers in Nottingham, United Kingdom. Wait cam at the Grand Slam Barber Shop in Grand Blanc, Michigan, USA. Hair salon (Friseur) in Hamburg, Germany. Hair salon webcam in Spain. Mod's hair Frankfurt live cams. Several webcams showing different areas of the salon. Live stream of the activity at Pete's Barber Shop in Peace Dale, Rhode Island, USA. Hair salon in Wittmund, Germany. A rotating webcam shows different views of the salon. The webcam is online during opening hours of the shop. Barbershop webcams in White Oak, Tennessee, USA.